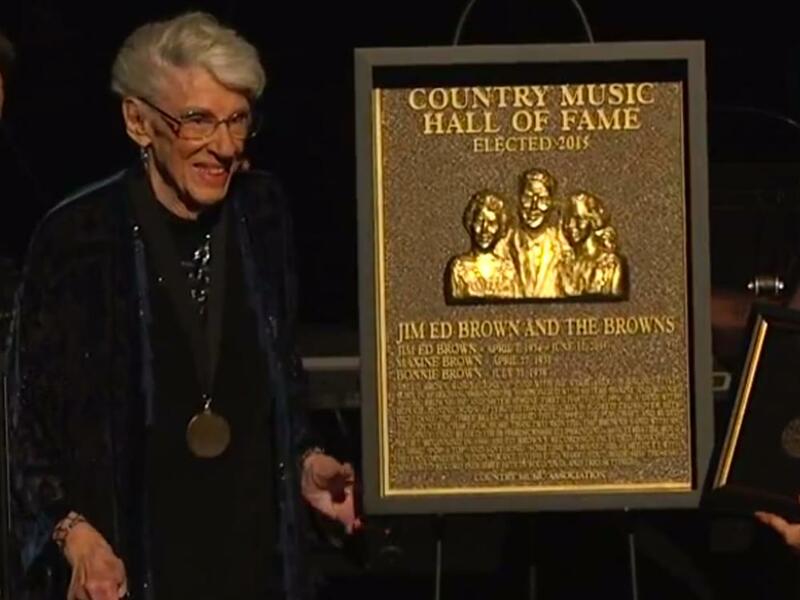 Maxine Brown Russell, one-third of the Country Music Hall of Fame group The Browns, died on Jan. 21 from complications of heart and kidney disease. Maxine was 87 years old. Maxine and brother Jim Ed Brown performed together in the early 1950s. After younger sister Bonnie Brown graduated from high school, the siblings formed a trio. The Browns performed on The Louisiana Hayride and found chart success with “I Take the Chance” and “I Heard the Bluebirds Sing.” In 1959, the trio recorded one of the biggest hits of the era with “The Three Bells,” which topped Billboard‘s Country charts and led to appearances on The Ed Sullivan Show. As the Browns helped define the Nashville sounds of the ’50s and ’60s, the hits continued with “Scarlet Ribbons,” “The Old Lamplighter” and “Then I’ll Stop Loving You.” The Brown were invited to become Grand Ole Opry members in 1963. In 1967, Bonnie and Maxine decided to leave the trio to spend more time with their families, and Jim Ed embarked on a very successful solo career. In 2015, The Browns were inducted into the Country Music Hall of Fame. Maxine was preceded in death by her parents, Floyd and Birdie Brown, sisters Bonnie Ring and Norma Sullivan, brothers Jim Ed Brown and Raymond Brown, and her son, Tommy H. Russell, Jr. She is survived by two children, Jimmy Russell (Mary) and Alicia Short (Curtis), six grandchildren (Caitlin, Daniel, Meredith, Eva, Patrick, and Katherine), and two great-grandchildren (Atlas and Aina).